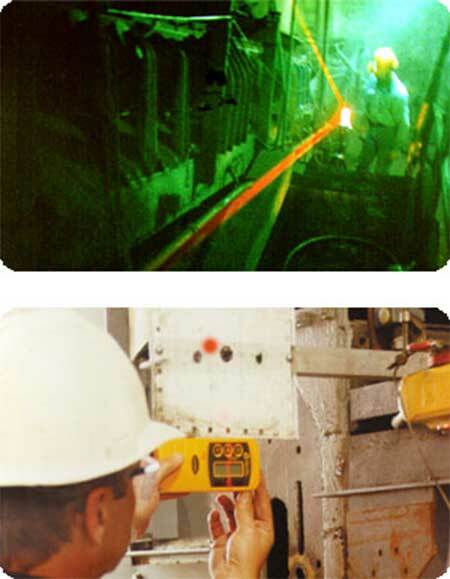 Laser surveys pinpoint conveyor component misalignment problems to correct and improve conveyor system performance. Another innovative technology used by Martin Services to improve bulk-material handling is the laser surveying of conveyors. Using state-of-the-art laser equipment and digital processors, Martin Service technicians can accurately analyze the alignment of conveyor components in three planes. The laser shoots a beam along the conveyor as far as 500 feet in either direction. By checking stringers, pulleys, and idlers against this beam of light, Martin Service specialists can determine the precise position of each major component. Necessary corrections are identified on a detailed computer print-out, which is published on site. Corrections to improve conveyor performance can then be made by a Martin technician or plant personnel.